Quickspin are still one of the new kids on the block when it comes to casino game design, even though they were formed in 2011. In the world of online casino 5+ years of experience can seem like quite a lot, but the software platform tends to be a little slower to progress with so many larger companies already having their foot in the door. What’s been great to see from Quickspin is that they are very much doing things their own way and they have been reaping the rewards as a result. The software that they offer is compact but perfectly formed, and it can be accessed on a flash based console. They have the ability to offer their services to countries in and around Europe, and as a result have managed to team up with several high power casinos including guts Casino, Betsafe, Casino Luck, Next Casino and LeoVegas. 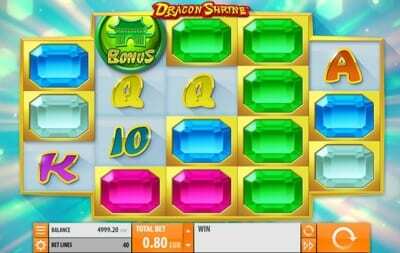 The casino concentrates solely on video slots, and whilst the lack of any table games could be an issue for some, we think that since this is a formula that works for them why deviate from that? We said that the company was compact, and it is, with just 46 games on offer across the entire software; but don’t let the lack of depth put you off, as the games that are on offer are some of the best we have tested. There is something quite different about Quickspin compared to other developers and it seems as though they genuinely care about what they do. If you read the information on their website you will see what we mean; the love and attention that goes into every aspect of every game really comes across, and the team seem like it’s a group of people who really enjoy what they do. This is all well and good, but the proof is in the pudding, as they say, and the games are the true test. Well, we weren’t disappointed and whilst the list of games is small, they all pack a punch. Everything from the graphics to the gameplay have been gone through with a fine tooth comb and this makes the gaming experience a pleasurable one indeed. 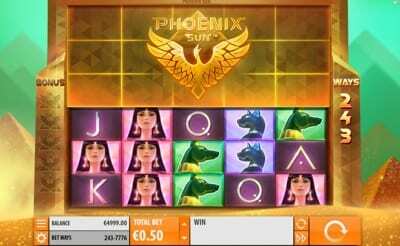 Each game seems to follow a story rather than just simply spinning reels to get to a certain point, and achieving this is very tough with a slot game, especially as the industry is so saturated these days. The standout games from the catalogue were Phoenix Sun, Dragon Shrine, Gold Lab and Spinnions Beach. The games really do submerge you into their world, and with the characters on screen you can easily spend hours playing without getting bored or tired of the same format. 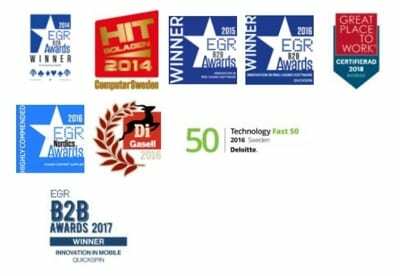 Whilst it’s easy for us to sit here and wax lyrical about how well the games at Quickspin perform, we don’t want you to just take our word for it, but also that of the EGR B2B Awards – Quikspin won 4 different titles from them within just two years. Quickspin came about when three entrepreneurs from previously established gaming companies decided to have a crack at the industry for themselves. The guys were taken from the likes of NetEnt and Unibet, before combining in 2011 to create Quickspin. They had decided that they wanted to improve how the company worked, offering a creative and innovative platform for their team to express themselves rather than having to answer to massive corporations. In a relatively short space of time, the company was able to able to close its first multi year license and also managed to get on the roster with casinos such as Betsson, Expekt and Unibet, to name a few. From there, collaborations within the UK marketplace came about including William Hill, Ladbrokes and Coral. This highlighted just how successful the company had become in such a short period of time, and the rest of the industry started to take note. In recent years their game library doubled and there are 13 more on the slate for 2019.